The Healthcare Data Institute acts as a catalyst for innovative thinking both in France and internationally. Its missions include encouraging reflection and debate from its members, raising public awareness, improving understanding, and promoting the development of concrete projects through cross-fertilisation. The Think Tank operates in a variety of different ways, and offers diverse services to its members. Once every 8 weeks, members of the Healthcare Data Institute are invited to a conference where a guest speaker shares his expertise on a topic related to Big Data and healthcare. The presentation is followed by a Q&A session and an open debate. February 12, 2019 - AI & Health: what ethical regulation? what impact on the trades? 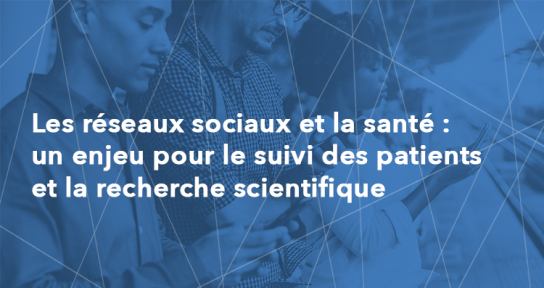 December 12, 2018 - How to access health data in France ? with Dominique Polton (INDS) and Stéphanie Combes (Health Data Hub). April 19, 2017 - Rare diseases research: how has big data helped? - Christian Deleuze (President - Sanofi Genzyme), Rémy Choquet (Director of innovation - Orange Healthcare), Nicolas Garcelon (Head of data science platform - Imagine Institute). On March 9, 2016, the Healthcare Data Institute co-organizes the 'Hospital Health Data In Europe: New Perspective for Clinical Research & Innovation' Conference in partnership with AP-HP, Sanofi & i-HD. Members can take part in working groups, defined altogether and submitted to the Board of Directors. For more information, go the the working group section. Each year, around november, members meet the public around a presentation of the Think Tank’s work, keynote presentations and round tables.